The MACH-ProAir™ (MPA) advanced VAV controller continues the tradition of Reliable Controls® MACH-System intrinsic simplicity, flexibility, and cost-effectiveness. The inherent nature of the flexible models, dynamic database and easy, custom programmability make the MACH-ProAir™ an obvious choice for today’s energy conscious VAV applications. To further support the worldwide network of Reliable Controls® Authorized Dealers as they embrace these conscientious changes to traditional methods, the MACH-ProAir™ will be released complete with a library of standard applications that implement the energy conservation requirements and sequences of operation of ANSI/ASHRAE/IES Standard 90.1- 2012 and 2012 IECC. Distech Controls introduces the Allure™ EC-Smart-Vue Series now with integrated CO2 and motion sensors. The four-in-one communicating sensor reduces time and installation costs and offers additional energy savings, supporting demand-controlled ventilation and occupancy-based control strategies for HVAC and lighting. Distech Controls will be exhibiting at Booth #615. For more information visit www.distech-controls.com/SMARTVUE. The ECB and ECL-50 Series BACnet® and LONWORKS® Controllers with live graphics color display is a powerful, user-friendly, and time-saving solution that provides technicians and managers with convenient access to important system data in real time. Distech Controls will be exhibiting at Booth #615. 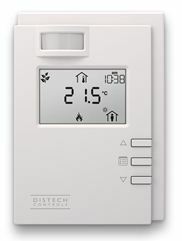 For more information visit www.distech-controls.com/50SERIES. Spartan Peripheral Devices has exhibited at the AHR show consistently, every year for the last 27 years. Each year they bring new products and innovative ideas to the show and since 2008 have printed a bulletin dedicated to the new products that are being exhibited. Please see for the 2013 What's New bulletin. This year's innovations include the most advanced product ever exhibited, the new ME8400 thermodynamic control valve actuator. It is the first in the world; a self powered (energy harvesting from heat transfer) wireless actuator controlled from a wireless gateway. This can be installed in retrofit installations without a need of bringing any wires or batteries to the unit. Danbury, Connecticut - Belimo America is pleased to announce the release of their ZIP Economizer. The ZIP Economizer has been developed to allow for easy user interaction when setting up or troubleshooting Economizer systems and RTUs. The ZIP Economizer is the most technologically advanced Airside Economizer solution in the market. The ZIP Economizer is designed to provide the most energy savings through advanced economizer logic strategies. The ZIP Economizer is compliant with the most recent energy codes and standards (ASHRAE 90.1-2010, IECC-2012, California Title 24-2013, AHSRAE 189.1-2011). The ZIP Economizer reliability and feature mean economizers no longer have to be jumpered out or fixed closed and results in getting building energy efficiency back on track. For more information, contact Belimo at www.belimo.com or www.piccv.com. The Sontay revised range of thermostats are well suited to number of applications for temperature control or safety cut-out in pipe work systems, calorifiers, duct work systems, green houses and many other installations. Our new thermostat range has been designed to blend seamlessly in with each other and all Sontay plant sensing devices. They are available in versions suited to capillary, duct, immersion, wall and strap-on applications. The ST-x range of thermostats can be used to control the temperatures of liquids and gases in a variety of applications. The liquid filled sensing elements ensure rapid response and accurate switching differentials. They are available in two formats; Control thermostats (auto reset), with an adjustable set point, adjustable differential and auto rest, which provides a switched output to a heater, or controller. Safety thermostats (manual reset), with an adjustable set point, fixed differential and manual reset, which provides high limit cut-out on boilers etc. EpiSensor, a leading provider of enterprise-class wireless energy monitoring systems, is pleased to announce a new generation of its highly scalable wireless energy monitoring system featuring a new smart gateway and upgraded sensors. The new EpiSensor smart gateway collects and logs data for access through a built-in web server, and can deliver the sensor data to a variety of enterprise software systems for archiving and analysis. The gateway doubles as the network management tool, providing an intuitive web interface to quickly and easily deploy the wireless monitoring system. Since no specialist training is required to install and commission the EpiSensor system, it is quick to deploy and simple to support. The new generation of sensors feature logging and time-stamped data locally at the sensor to serve as a redundant back up in case of any network communication issues—a distinct feature provided by the EpiSensor system. The new sensors, which monitor electricity, water, gas, heat, temperature and humidity, and fuel levels, also support remote software upgrades, which are handled easily through the gateway’s network management tool. Matrox Graphics Inc. announced Matrox MuraControl™ for Windows® video wall management software to configure, operate, and otherwise take full advantage of video walls powered by Matrox Mura™ MPX Series output/input boards. Running either locally or remotely over standard TCP/IP networks, the highly-intuitive, user-friendly application consists of window and source controls that let users create, save, and edit layouts (presets) offline or in real time. This provides enhanced customization of where and how content appears on Mura MPX video wall installations displaying up to 56 HD inputs across up to 56 HD outputs. Designed exclusively for Mura MPX hardware, the software release also enables professional AV installers and system integrators to conveniently deliver more complete systems for a wide range of market applications such as presentation, signage, control rooms, security & surveillance, and small to medium-sized public or private venues. 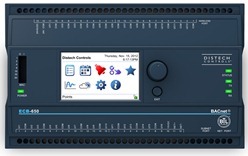 Leading automation manufacturer, Advantech have just launched a new Direct Digital Controller (DDC), BAS-3500BC, with an integrated router, dual Modbus and BACnet interfaces and auto-mapping to make it one of the most flexible DDC’s on the market today and the best solution for building automation. To increase efficiency and save users from having to purchase a separate router the BAS-3500BC has had a BACNet router built into it. This unique feature enables engineers to access all MS/TP unitary modules directly from the BAS thereby speeding up implementation. 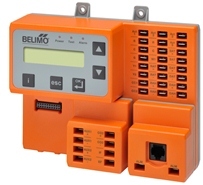 With its ability to simultaneously support both the Modbus and BACnet protocols the BAS-3500BC ensures that developers do not require additional convertors or controllers to connect to environment controllers and meters. To find out more about the BAS-3500BC, go to http://www.advantech.com.